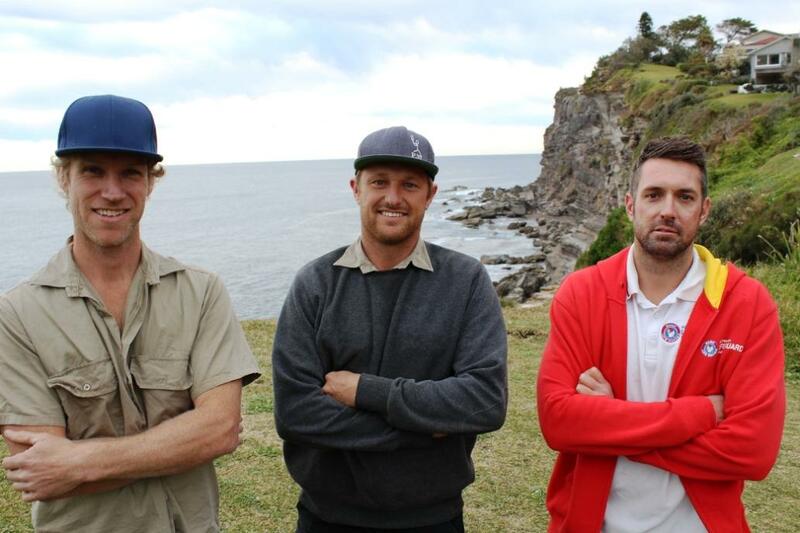 Picture (l to r): Luke Peden, Shane Carroll and ALS Pittwater Supervisor Brad Woodward. Shane Carroll, fortunately, works outdoors - the proprietor of Scapes&Stones, along with mate Luke Peden, heard a Rock Fishers cries for help at Bangalley Headland on Wednesday. Shane and a gentleman named Richard dived in to help the man ashore in difficult conditions, where waves were washing over the rocks then pulling out strongly as they tried to get back in, and then Luke helped get the gentleman up and over the rocks back to safer ground. Luke had called for the ambulance and rescue people while Shane and Richard swam out. The rock fisherman was already 20 metres offshore when they saw him and clearly distressed. Shane and Luke stated, "If he hadn't been wearing a lifejacket he would be gone." Both are surfers, born and bred in Pittwater, both are fathers who like to get home to their children, both hope people will wear life jackets and check conditions prior to going rock fishing if they're visiting Pittwater. The rescue had an element of 'if's too - if Shane hadn't been running around getting materials for the work being done earlier that day he and Luke would have already been, done their work, and gone. If they weren't men who had grown up in the area and always been in the water, they may not have been confident about the waters off Bangalley and their ability to save a life. A decision to wear a lifejacket while rock fishing has proved a lifesaver for a man who narrowly escaped drowning at North Avalon headland on Sydney’s Northern Beaches on Wednesday. The 55-year-old Chinese National who is not a confident swimmer was fishing at the popular spot when he was washed into the water just after midday. Unable to get out he began screaming for help and was heard by a group of local surfers who were standing on the headland. The surfers raced to their car to get their boards and paddled out to the man where they were able to drag him out of the water and onto the rock platform. Due to limited access to the rockshelf, the Westpac Life Saver Rescue Helicopter was tasked to the scene to winch the man out with assistance from the Australian Lifeguard Service Pittwater Supervisor Brad Woodward. “What today’s incident highlights is just how important it is to always wear a lifejacket while fishing. There’s no doubt it saved his life, and without it we would be talking about another fatality,” said ALS Pittwater Supervisor Brad Woodward. 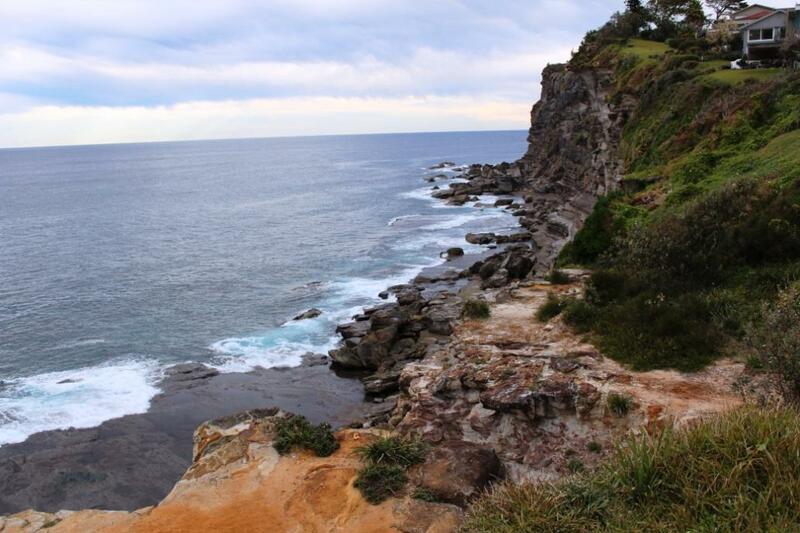 “It’s worrying that this incident occurred just around the headland from where another fisherman sadly drowned at Whale Beach earlier this month. This is a popular rock fishing location, but like any exposed ocean fishing spot there are significant challenges and hazards. “It was a team effort to get the man out. The local surfers did a great job keeping him calm and calling for help, while the helicopter crew conducted a smooth operation to winch him to safety,” Mr Woodward said. The man was handed over to the care of paramedics and has been transported to hospital for observation. It is understood that he was conscious and alert, but may have swallowed water during the incident. There have been 44 rock fishing fatalities since 2011 including 8 who have drowned in NSW coastal waters this season. The Bangalley Headland rockshelf at Avalon Beach is an isolated spot - not a place to go fishing on your own, even in great conditions.